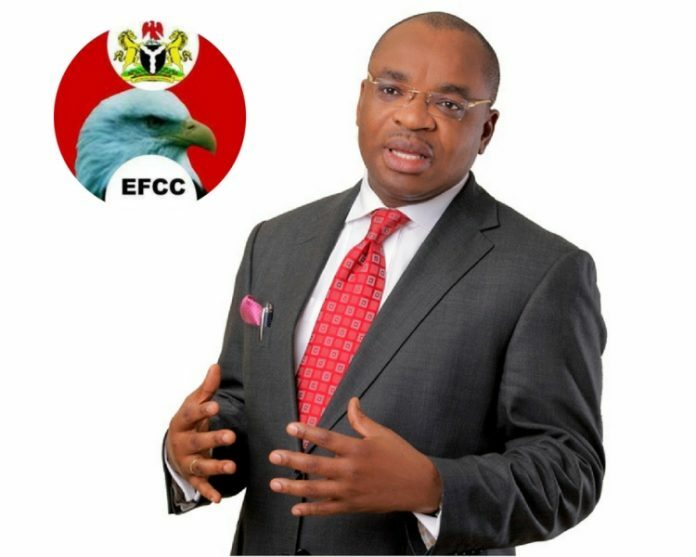 Despite denial by the Akwa Ibom State Government that there’s no sum of N1.4 billion secretly kept in top individual accounts as published by The Nation’s newspaper, SecretReporters can authoritatively report that there’s fact in the news. Independent findings by SecretReporters has uncovered an anti-corruption group known as Anti-Corruption and Integrity Forum headed by Comrade Prince Kpokpogri and based in Delta State and Abuja as the unseen hands behind the many unseen Economic and Financial Crimes Commission (EFCC) trouble in recent times. This online newspaper can authoritatively report that the group has submitted avalanche of petitions, backed up with documents to the EFCC, compelling them to begin an investigation of the state government. In one of the petitions sighted by us, four banks namely; Zenith, UBA, Fidelity and Access Banks are allegedly among the banks where slush accounts belonging to the state where lodged, using prominent lawyers account details. We gathered that the group listed the Commissioner for Finance, Nsikan Linus, the Permanent Secretary and Director of Finance and Accounts in the Ministry of Justice and an Assistant Chief Accountant in the Accountant-General Office in the state, Mfon Jacobson Udomah as those behind the fraud. The group has been meeting with the Commission for weeks planning and mounting pressure for the arrest, interrogation and detention of those listed by them. Other top government officials are also under the radar of the EFCC as petitions have also been submitted against them for the wanton looting of N100 billion. They are the Commissioner for Works (Ephraim Inyang), Commissioner for Housing and Special Duties (Akan Okon) and Mrs Ekereobong Akpan. The Commissioner for Finance, Mr Linus Nsikan was also listed in the N100 billion fraud petition. The group is also behind the ordeal of Mr Peter Nwaoboshi, who’s representing Delta North in the Nigerian Senate, for diversion of over N4 billion and buying properties with proceeds of fraud. He was arraigned early this year and remanded in Ikoyi Prison. The case is still ongoing.